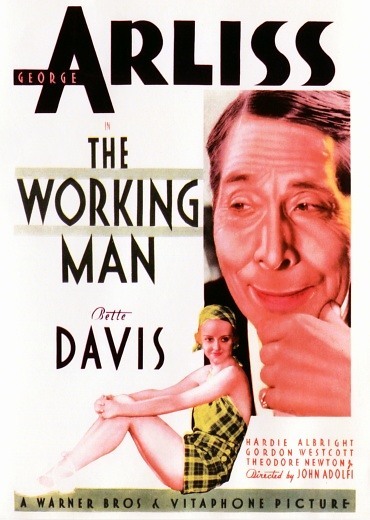 The Working Man is a Warner Bros. 1933 Pre-Code comedy starring George Arliss and Bette Davis. George Arliss plays John Reeves, the head of a shoe making company, who has become annoyed with his management staff, who think he is getting too old for the job. So he leaves his nephew to run the store, while he goes off on a fishing holiday. He runs into the heirs to a rival firm, Jenny and Tommy Hartland (Bette Davis and Theodore Newton), and hides his identity to look into how the other firm is run. He discovers that the factory is being mismanaged, and decides to help the Hartlands turn their business round.